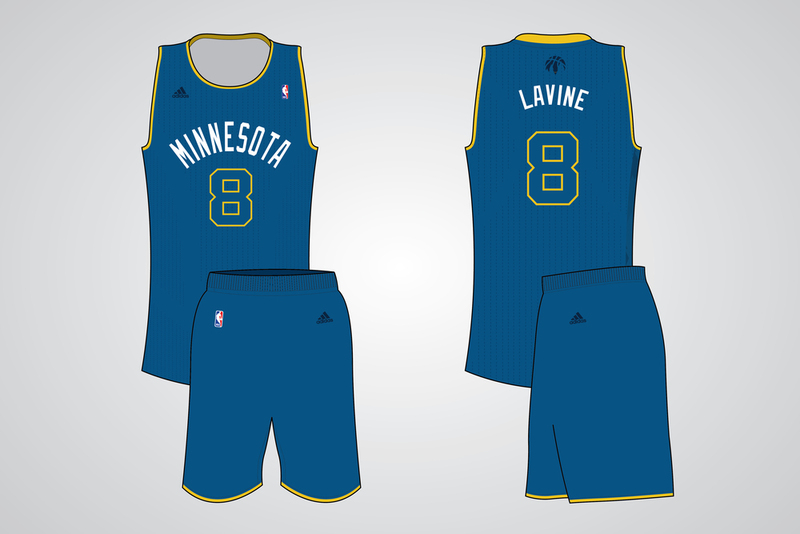 The Minnesota Timberwolves are my favorite team, but I hate their branding. The cartoonish howling wolf is dated and fans are dying for something new. Wolves hunt in packs, they stalk their prey, and it's often the wolf you don't see that you have to worry about, with that in mind I set out to update the branding for my favorite team. Using negative space and simple images I kept the pine tree and wolf aesthetic the team currently uses, but like a real wolf hunting in the wild, this one is waiting, unseen, until it's time to strike. I created a multiple logo set to use on apparel, jerseys, the court, and all sorts of marketing material. The current home court is an eye sore. The dark contrasting wood and huge center logo are no longer common place in the NBA. I used a version of my main negative space logo with glowing yellow eyes in the center to grab attention. The howling wolf is secondary on each end. The wood is a toned down natural stain and the courtside branding follows the simplified look. The court is surrounded by white, by snow, because this is Minnesota and damn right it's cold. It's time we stop apologizing for that. Jerseys are huge for NBA fans. I myself am embarrassed by how many I own, but the majority of mine are "throwbacks." For a while jersey design went off the deep end and it's not until recently that and the clean retro-esque look has returned. These jerseys could fit in any era of the NBA. The tree pattern blends the old with the new. Every team has a collection of jerseys they use and fans of the old Minneapolis Lakers might recognize one of the alternates.